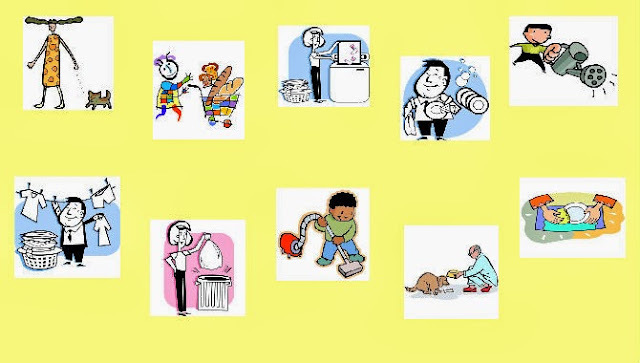 ESL Vocabulary Lesson on Household Chores - Pictures and music. Designed for beginning level students who are learning English. By Christina Niven of www.elcivics.com.